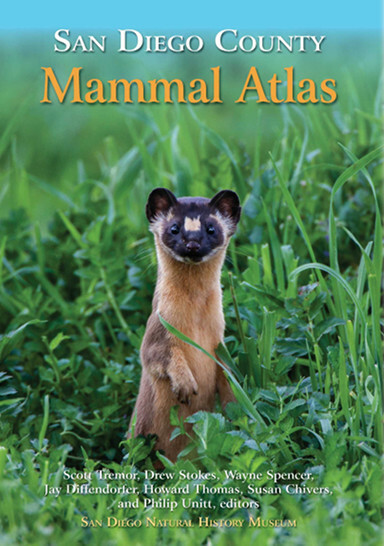 February 16, 2018 -- CBI is proud to have played a part in producing the groundbreaking San Diego County Mammal Atlas, a product of nearly two decades of research that was released on December 19, 2017 by the San Diego Natural History Museum. CBI is proud to have played a part in producing the groundbreaking San Diego County Mammal Atlas, a product of nearly two decades of research that was released on December 19, 2017 by the San Diego Natural History Museum. This compendium of biological information provides state-of-the-science concerning mammals in southern California that apply well beyond San Diego’s boundaries. It is intended for use by land managers, research biologists, conservationists, nature lovers, and students, and is written to reach a wide range of readers, from the high school level on up to the professional research scientist. The 432-page book is beautifully illustrated with numerous original photos, maps, and scientific illustrations. It synthesizes what is known about all 91 terrestrial and 31 marine mammals species observed in San Diego County, California, from 1769 to the present day. 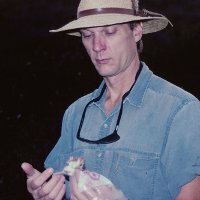 It distills information on the identification, natural history, and conservation concerns for all mammal species that have at least historically occurred in the county--from those that still range broadly throughout the western US, Mexico, or the Pacific, to those found nowhere but San Diego, to those that no longer survive in this biodiversity hotspot. Due to the overlap of many wide-spread and narrowly distributed species in this unique corner of the US, San Diego supports more mammal species than any other county. The valuable information summarized in the atlas therefore applies far beyond San Diego County boundaries. CBI’s Chief Scientist Dr. Wayne Spencer helped write and edit the Atlas, and provided scientific guidance for this highly collaborative project, prepared by more than 40 experts in mammalian ecology. CBI also helped develop the species distribution database, and Justin Brice, CBI GIS Analyst, created the species range maps. The book sells for $49.95 in the museum store and online at http://www.sdnhm.org/. Proceeds support the museum’s Department of Birds and Mammals. The book can also be ordered directly from Sunbelt Publications.